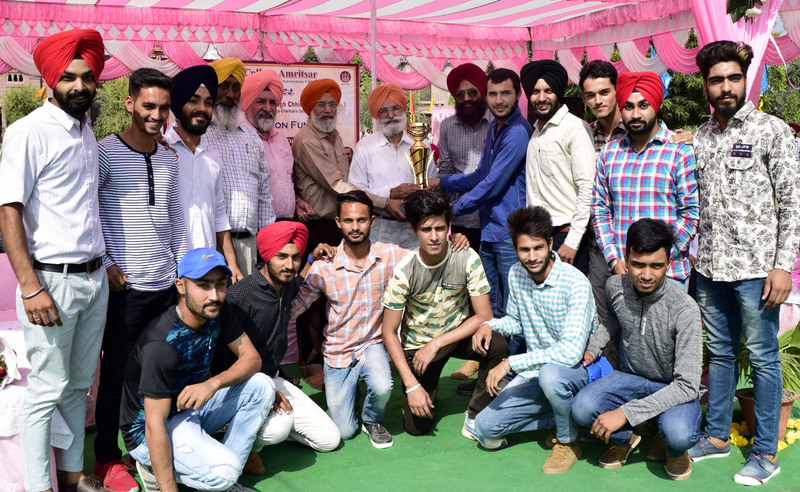 The five-day-long 3rd Inter-Khalsa Colleges Diwali Tournament today concluded at Khalsa College here today and the host College emerged as overall champion. 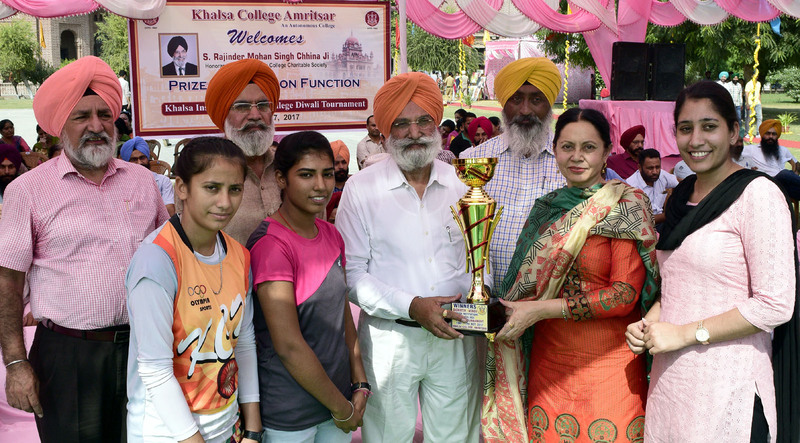 At least 450 students from 19 educational institutions under Khalsa College Charitable Society (KCCS) competed for various events of cricket, athletics, basketball, volleyball, badminton and tug of war and the girl students participated enthusiastically in the sports events. KCGC honourary secretary Rajinder Mohan Singh Chhina presided over the prize distribution function and gave away trophy and prizes to the winners. He said such events help in nurturing the sportsman’s spirit among the students. He said the tournament was initiated a few years back and has become now an annual affair. In the Badminton, Khalsa College for Women (KCW) emerged as Champion, Khalsa College of Engineering and Technology (KCET) was Second while Khalsa College of Pharmacy (KCP) was third. In the Basketball host Khalsa College was first, KCW was second while KCET was third and in Tug of War again Khalsa College was first, Khalsa College Chawinda Devi second and Khalsa College. In Cricket also Khalsa College emerged first, KCET Secopnd and Khalsa College of Technology and Business Studies Mohali was third. Principal Dr.Mehal Singh made elaborate arrangements to hold the sports competitions and he read out the detail sports report of the College and welcomed the guests which included the principals of all Khalsa Institutions. Chhina said Khalsa institutions had been in the forefront to provide best talent to the national pool in various sports and such events help them to polish their skills of the sportsmanship. Colleges’ sports in charge Dr.Daljit Singh said there is dire need to encourage sports in the times when the youth were indulging in non-sporting activities. Khalsa University VC Dr. GS Walia, Principal Dr.JS Dhillon, KCW Principal Dr.Sukhbir Kaur Mahal, Dr.Jaspal Singh, Dr.HB Singh, Principal DK Sandhu, Gurinderjit Kaur, staff and students were present in large number.